Reading Museum's art collection covers a wide range of art and craft work, and is especially known for its 20th century British art. 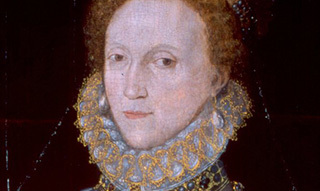 The oldest pieces are Tudor portraits including our striking portrait of Queen Elizabeth I. The archive of Edwardian British sculptor John Tweed includes his correspondence with, and works by, Auguste Rodin. Important local artists of national standing are represented including Stanley and Gilbert Spencer and John Piper, and potter Alan Caiger-Smith. The Reading Foundation for Art Collection is cared for by the Museum and includes works by important Modern British artists such as Paul Nash, Mary Fedden and Terry Frost.